The acquisition of Tymon is considered a real coup for many, with the young defender, who is comfortable playing in central defence or at left-back, having been compared to former England defender Ashley Cole. Tymon, who grew up in Hull, decided to make a move to Stoke City after being persuaded by club manager Mark Hughes that the best place for his career would be a move to the Premier League side. 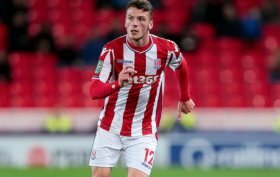 Tymon has reportedly been offered the opportunity of regular first-team Premier League football at Stoke, but has yet to have made his debut at the time of writing in November 2017. Tymon already has experience at Premier League level though, having appeared five times in the top flight for Hull City, in their fateful 2016-17 campaign where the club would be relegated. However, even in that handful of games Tymon already impressed at the top level. The young defender has also caught the eye of Chelsea and Manchester United, such has been the impressive form of the youngster. The 5 foot 10 defender is quick, combative and has excellent positioning for such a young talent. Tymon has already appeared for England's under-17's, 18's and under-20's and is widely expected to go on to greater things and represent the full international team. Tymon has recently been deployed in midfield positions for Stoke City's reserves, comfortable playing on the left of midfield. With excellent coaching and experience at Stoke City, Tymon is sure to kick off his career in the best possible way.